Is the Christian Bible the true Word of God? How many times has it been translated, and what are we to make of the multitude of new translations? Those who believe in the inerrancy of the scriptures that are contained in the Holy Bible claim that it is without error or fault in all of its teaching. One of the so-called proof texts is found in the following verse. The problem with this statement is that a large portion of the scriptures have been altered with purposeful intent and therefore do not represent the original Word of God at all. Rev 22:18 For I testify unto every man that heareth the words of the prophecy of this book, If any man shall add unto these things, God shall add unto him the plagues that are written in this book. How many various so-called interpretations can we find regarding the book of revelations alone? If the warning given is accurate, multitudes are in danger of eternal torment for their crimes. The true Word of God is revealed to those who have the Spirit of truth that Yahshua provides (John 14:26). To attempt to understand the Gospel truth without the true Baptism of the Holy Spirit represents a fruitless endeavor. The degenerate false teachers within the various Christian churches are easily recognizable simply by observing their fruits of deception. Although there are numerous mistranslations in our modern day bibles, with the Spirit of truth we can all rightly divide the Word of truth. This is a labor of love that every believer must participate in. We are not to depend on the doctrines of men for our answers. We should all to be able to give an answer, to everyone that asks, of the reason of the hope of the Messiah (Christ) that is in us (1 Peter 3:15). Too many people are forever learning, but unable to come to the knowledge of the truth (2 Tim 3:7). Without the only true teacher, this is to be expected. 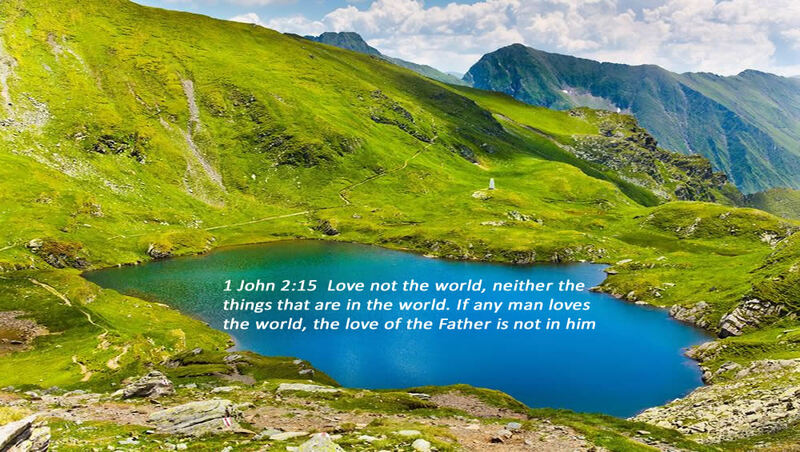 The true Word of God will not be revealed to those who are unwilling to separate themselves from the world, and the lusts thereof (1 Cor 2:9-16). When so-called Christian denominations, follow after the teachers of fables, they are involved in a system of religious beliefs and rituals. This is the textbook definition of a cult (2 Tim 4:3-4). The true Word of God is revealed by those who study to unmask what has been concealed. No other book has endured so many attacks, and yet still stands true. Titus 1:10-11 For there are many unruly and vain talkers and deceivers, specially they of the circumcision. Whose mouths must be stopped, who subvert whole houses, teaching things which they ought not, for filthy lucre’s sake. We are not to acknowledge jewish fables, or the commandments of men, that turn many from the truth (Titus 1:14). 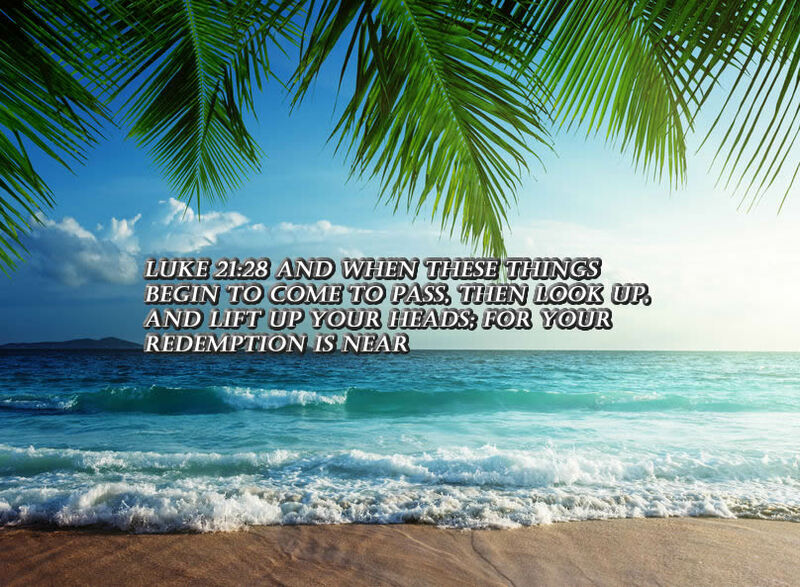 We will rejoice in Yahshua, the name of our God… It’s about time His Holy name is revealed. If Christ’s Spirit does not dwell within you, then you are not of Him, and therefore do not know Him. Great deception within Christianity is accomplished at the hands of the false teachers in the Christian Church that only regard the things of the flesh. They are blind to the truth and purpose of this life because they are without the Spirit of Christ. The Christian believer must rely on the Holy Spirit to uncover or reveal Christ’s testimony, as His truth is spiritually discerned. Far too many have a false sense of reality and eternal security, as a result of the doctrines of the wolves in sheep’s clothing, that are literally fleecing the flock. The revelation of the great deception in the church today is obvious when Christ’s teachings about Salvation, the Law and the gathering of the Elect, are not at all understood. The true Word of God is never taught by the charlatans who are only interested in worldly pursuits. These deceivers prevent their followers from growing in the Lord or having a true relationship with Him (Mat 23:5-15). The false teachers in the Christian church deny Yahshua by reason of their damnable heresies and bring upon themselves and their blind follower’s swift destruction (2 Peter 2:1, John 16:7, Luke 6:39). Although many claim to be followers of Christ, few dedicate any serious time to the understanding of the true Word of God (Phl 3:8-14). Can we really proclaim the true Word of God when we attempt to hold onto the Old Law, that has been replaced by the New Law of Yahshua? We cannot declare that we love the true Word of God when the Revelation of Christ and His New Testament Covenant is ignored. If the Christ spoken of in the Bible is the true Word of God, how is it that we do not obey His teachings. Scripture declares that in the latter time’s men devoid of the Spirit of Truth will depart from the faith and accept the doctrines of devils (1 Tim 4:1). What Yahshua taught is the true Word of God, and the Elect that He dwells in, have the ability to rightly divide His Word of truth. 1 Thess 3:11 Now God himself and our Father, and our Lord Yahshua the Messiah, direct our way unto you. When we remove the word and, in these verses above and below, we can understand the Trinity as a nonsensical doctrine. The correct word to be used is even or also. I testify therefore that God, even the Lord Jesus Christ, who shall judge those who are alive in Him and those who are dead. The entire six-part study guide on the doctrine of the trinity is now only available to members (available only at christiantruthproject.com) click here . It is through the Spirit, that we can understand the true Word of God. Through His Spirit, we have the authority in Him to understand and declare His teachings. To those who are not truly born-again, the Word of God represents a gospel message of parables (Mark 4:11, Math 13:15, 1 Peter 1:23). Essential Christian teachings show us that we can have the Assurance of Salvation in Christ alone. This is when we are sealed with the Holy Spirit of promise, unto our inheritance of eternal life with Him. The end result of faithfully following Yahshua is rejoicing in the Salvation He provides to His Elect, at the end of this age. We do not rejoice in the Salvation that we claim to possess, but rather we will rejoice in His Salvation when it is rewarded to us. The essential Christian teachings related to sanctification and beliefs of the truth, are unto Salvation, ready to be revealed at the last day. The false teachers in the Christian church do great harm to the very understanding of Salvation, as they falsely teach that Salvation is realized through works. To claim that Salvation occurs in the present tense removes faith and hope from occurring. Those who have the Spirit of discernment, can indeed rightly divide the Word of Truth, and identify mistranslated Scriptures with relative ease. This authority is demonstrated in the verses presented below. During the final 3 1/2 tears of this present age, the false christ and the false prophet will come forth (Rev 19:20). Yahshua our Lord, clearly explains the events that will unfold before, during, and after the great tribulation. We Can Have Assurance of Salvation by understanding that Yahshua is our Salvation. But can we lay claim to Salvation in the present tense, or is Salvation what we hope for? Isaiah 25:9 And it shall be said in that day, Lo, this is our God; we have waited for him, and he will save us: this is Yahweh; we have waited for him, we will be glad and rejoice in Yahshua. He that believeth and is Baptized (with the Holy Spirit) shall be saved; but he that believeth not shall be damned (Mark 16:16, Gal 3:27, Math 24:13). While it’s true several words were added by this author to Mark 16;16, this is the Baptism Yahshua was referring to. 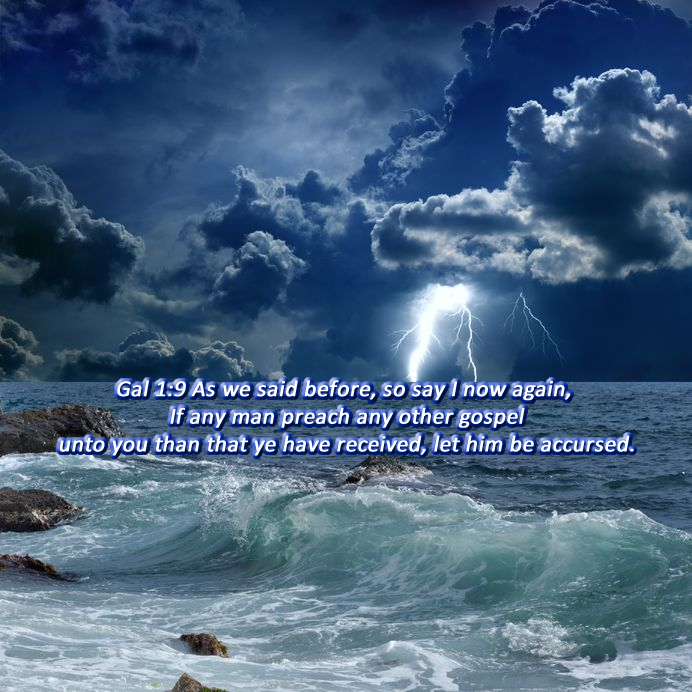 Those with the Spirit of Christ, have the assurance of the true Word of God, and they can also rightly discern that which is of God and that which is of man.